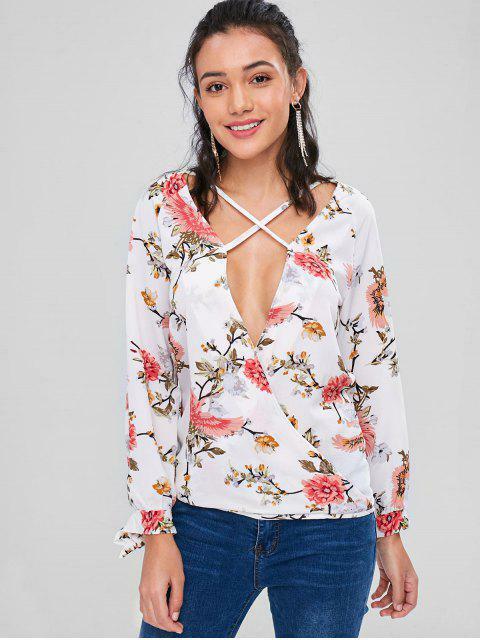 [57% OFF] 2019 Crisscross Floral Wrap Top In WHITE | ZAFUL .. 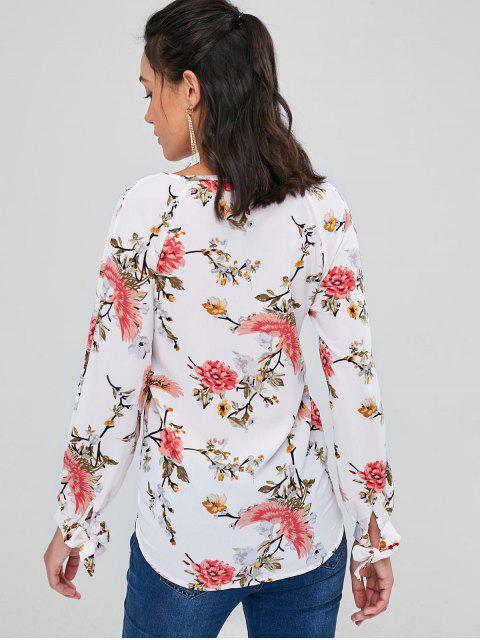 Designed with the plunging collarline with the crisscross accents, it's the finer details of this wrap-effect blouse that bring it to life. 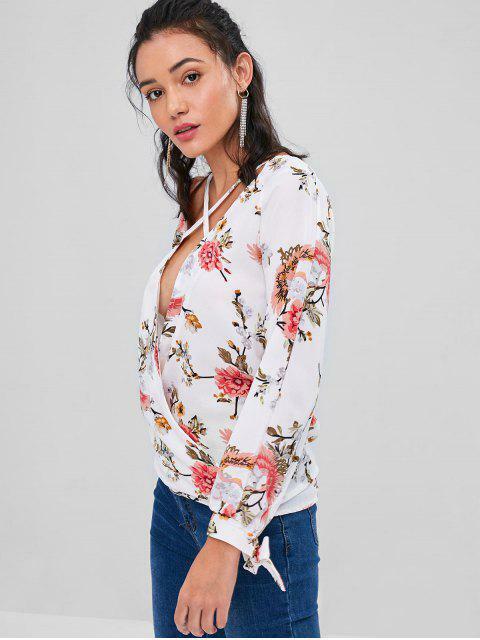 Finished with tied cuffs, the best partner for this lightweight piece is a robust leather pencil skirt.